 Winterbourne Junior Girls’ School is unique, as it is one of only two mainstream junior girls schools in the country. Our school is a multi-cultural and multi-faith community. Our school motto is VINCAM which means together we conquer and we encourage the girls to conquer all sorts of challenges. We strive to provide a safe and nurturing school environment where all pupils work to their fullest potential.